Taku Honey translates to "my honey" in Maori's language's te reo Māori. The Maori are the native people who have lived in New Zealand for thousands of years before the arrival of western settlers. Maori knows and lives by the land. The heart of the Taku brand is a connection firmly anchored in our shared beliefs and commitment to protecting the environment. Taku brand is following the traditions of Maori ancestors, in protecting and taking care of nature for their gifts to us mankind. Taku's honey are harvested from beehives that are found in New Zealand’s rugged Central Plateau, East Cape, and Northland. Taku is directly involved in production every step of the way, from the land to the hive to the jar – and proudly stand by the authenticity of our products. The manuka bush (tea tree in Maori's) is native and unique to this part of the world. For only six to eight weeks, the manuka bush flowers and the bees work during this period to harvest nectar from the bushes. The bees turn them into a rich, earthy honey that is uniquely New Zealand. 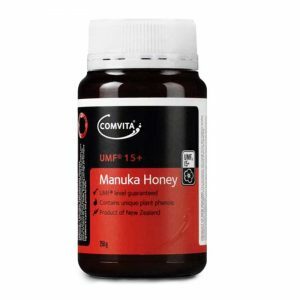 Taku Mānuka Honey is sourced from large uncultivated manuka bush areas in New Zealand. Some of them are pure and most isolated, where pollution and spray drift do not taint our bushes. 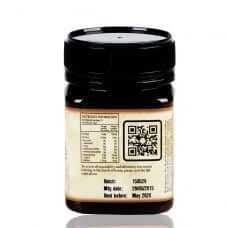 The results:- You get the purest and clean manuka honey ever.